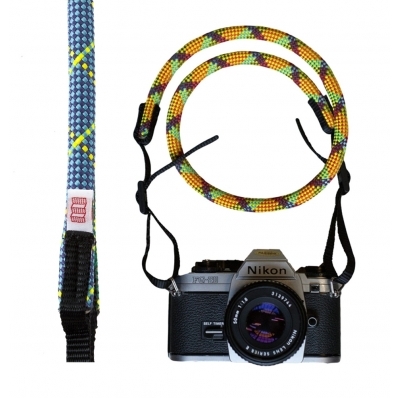 A heavy-duty camera strap with outdoor style. 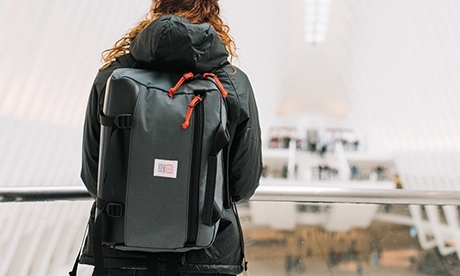 When you’re on the go, the last thing you want to worry about is dropping your rig. 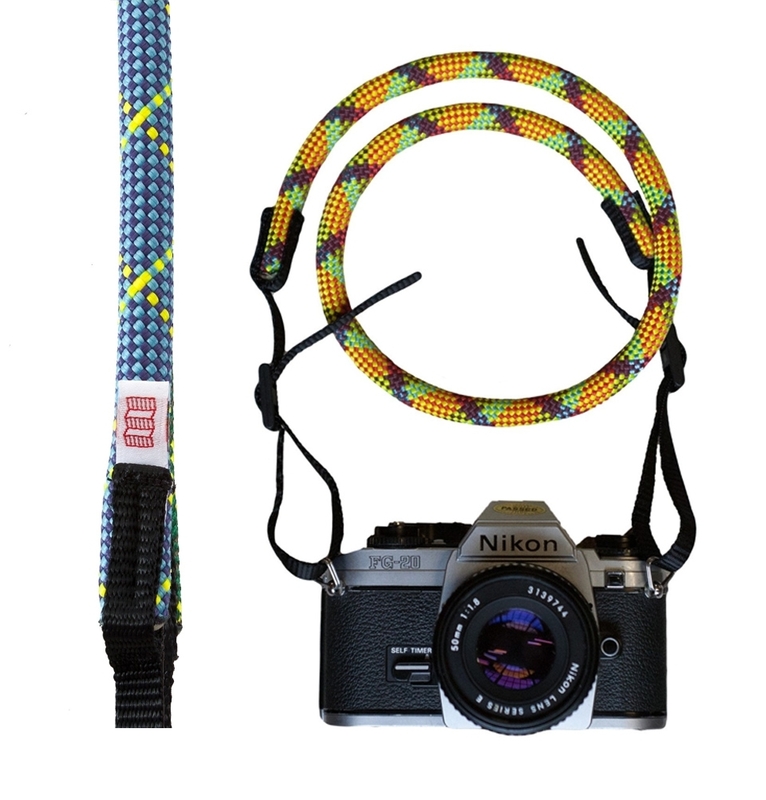 Durable and lightweight, this Camera Straps is built to withstand any adventure (and look good doing it). 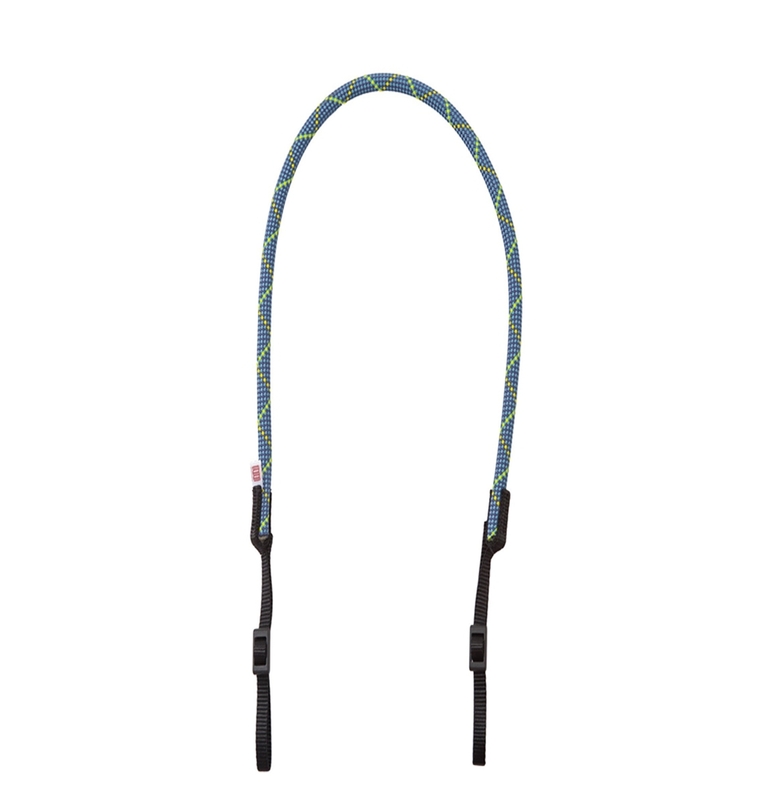 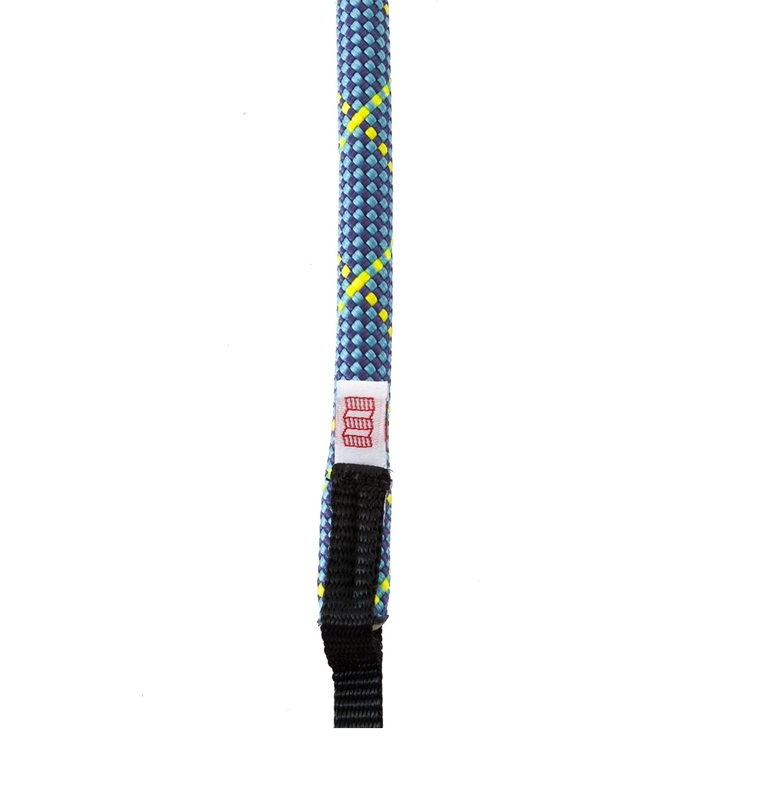 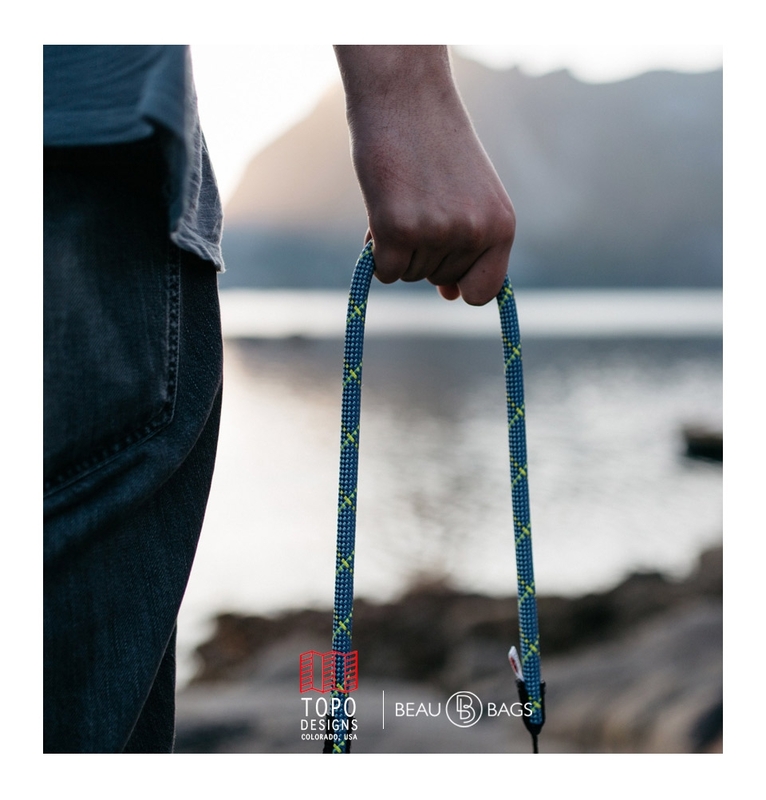 TOPO DESIGNS CAMERA STRAP BLUE, heavy-duty camera strap with outdoor style. 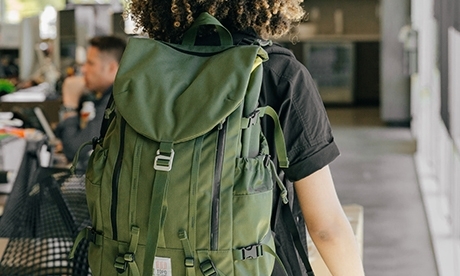 We know you're always on the move. 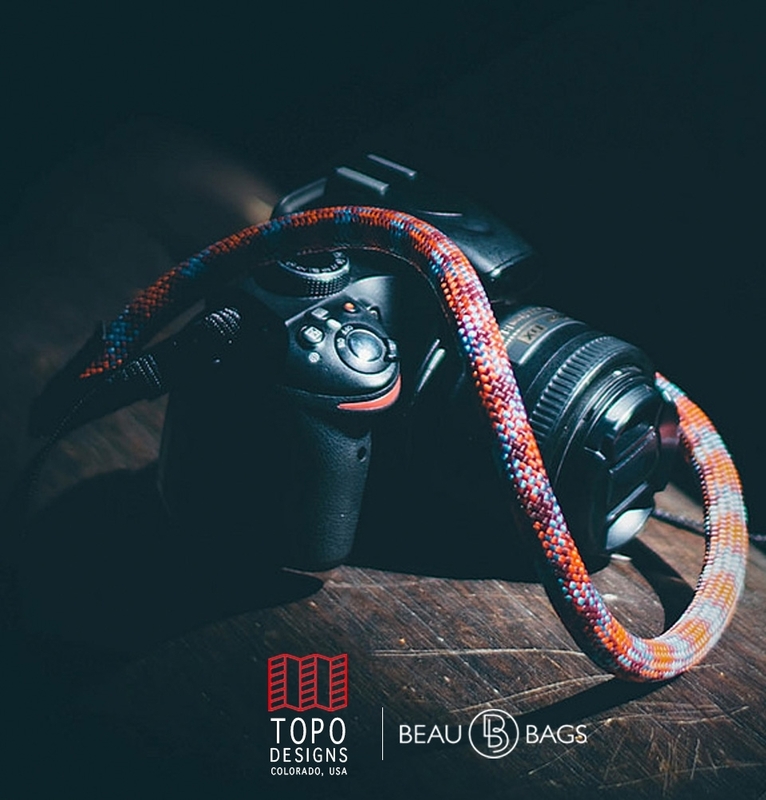 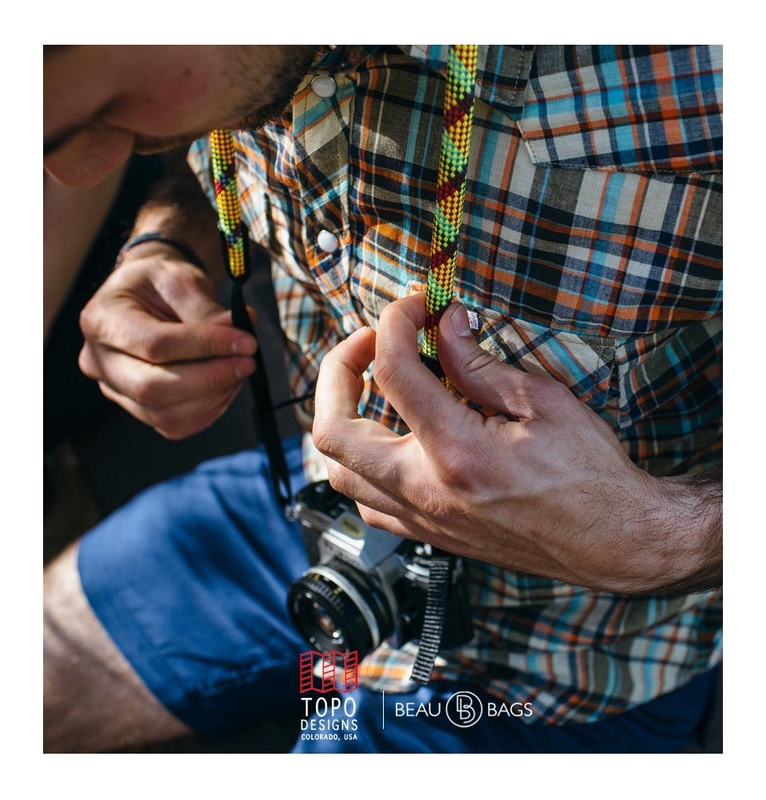 We also know a camera is no good if it can't keep up so Topo Designs made a camera strap with a Colorado twist by using heavy duty climbing rope to secure your rig at all times. 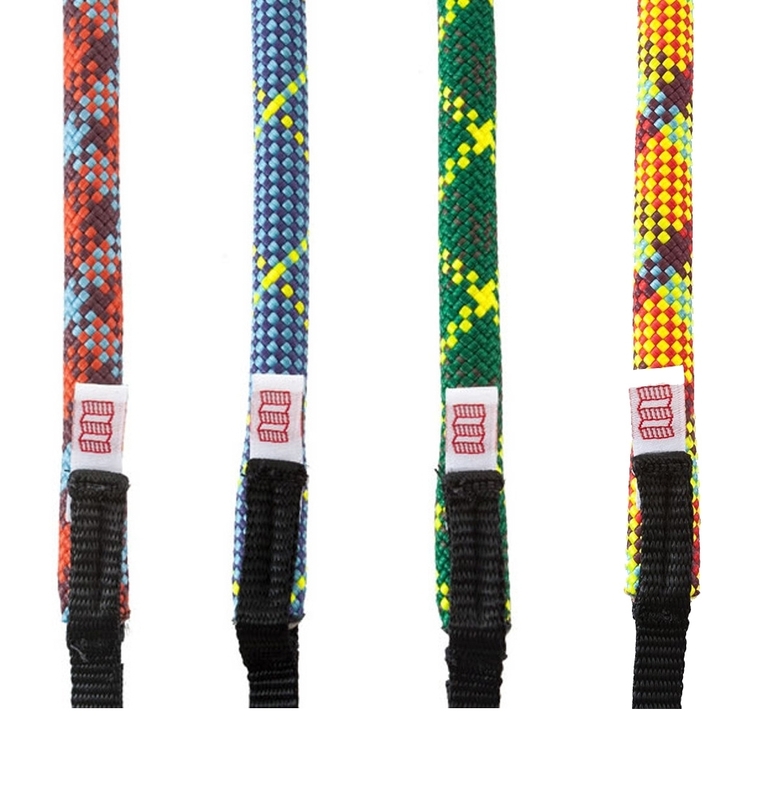 Durable, lightweight, available in four colors. 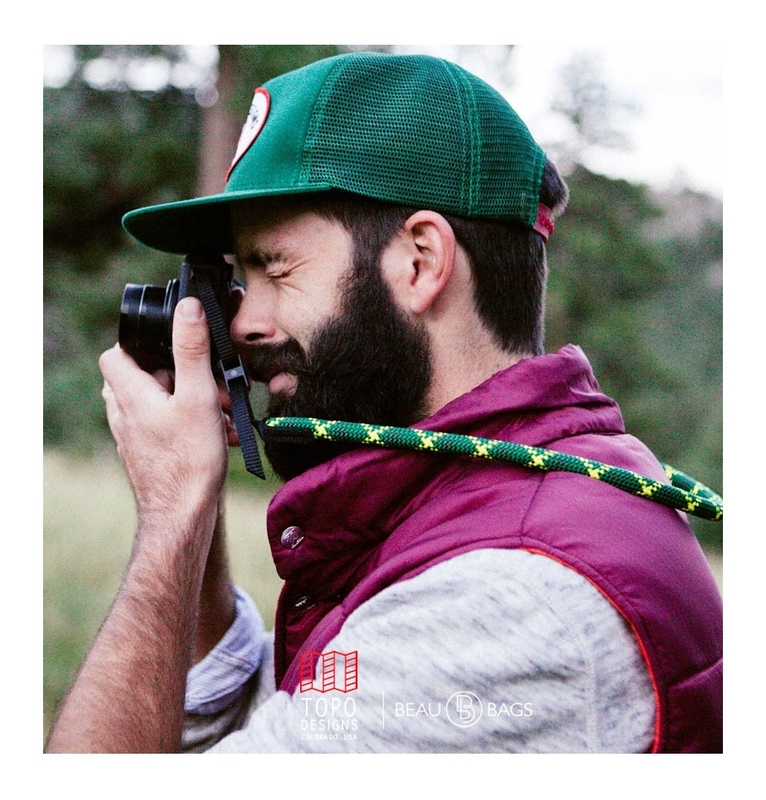 All Topo Designs Camera Straps are handmade in Colorado. 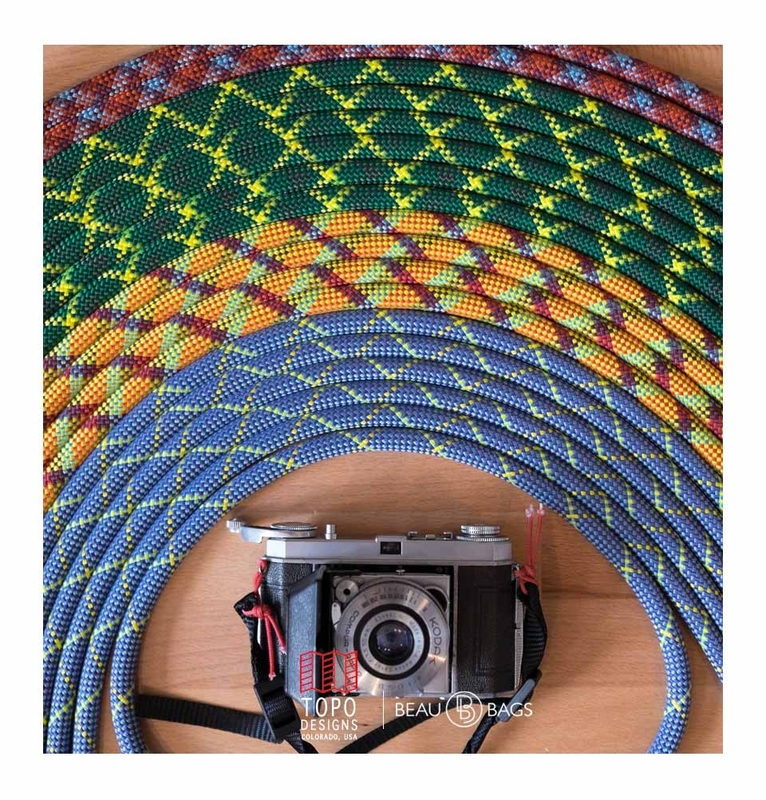 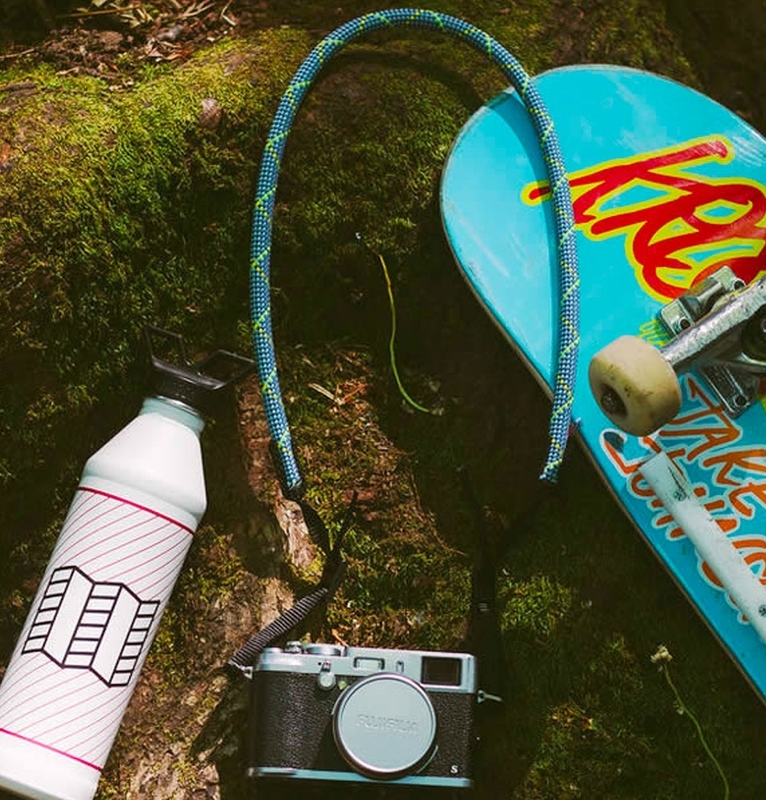 Fun, colourful and really neat accessory for your camera!